I use to live in Wayne County WV. I grew up in a holler. 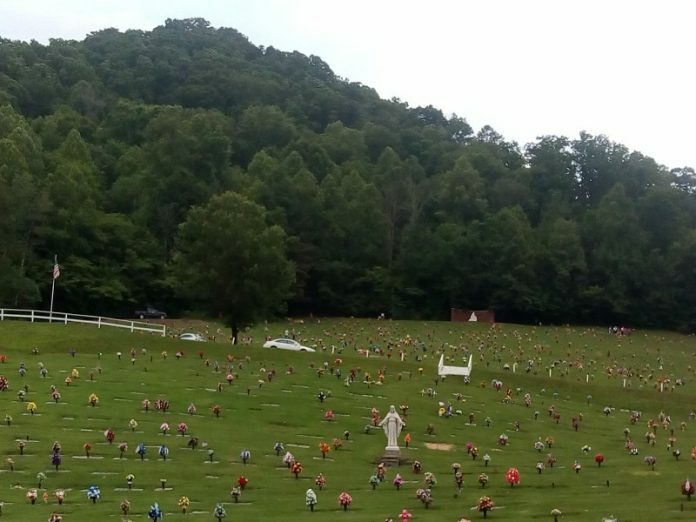 At the head of our holler was a cemetery and my friends and I would walk to it a lot. We were there so much that we knew every name on the tombstones and we often played games. My friend Amee always liked to play around the big round tree near the Johnson family. It was said that the whole family was murdered by the father, John Johnson. They all died in August of 1970. Well, one day we headed up there to play, we loved the old shed. Laying on Linda Johnson’s tombstone was a red rose. All the years playing out there we had never seen flowers on any of that family’s graves. I placed the flower in my hair and we played. We whispered around wondering where he came from and who he was. “Till I see you again Lindy,” he said while placing the rose on her tombstone. He then walked out the back of the cemetery and disappeared into the woods. Till this day I still remember him and that eerie moment in the cemetery. We never saw him again and Mr. Johnson’s body was never found.